The article presents Norwid’s thought on subjectivity. It reconstructs both the poet’s make-up on the issue in question (connected, inter alia, with a formula of originality and with criticism of modern subject claims) as well as disclosed in Norwid’s poetry poetics of epiphany (in Charles Taylor’s view) – complex, revealing a desire to traditional epiphany, realised in romantic epiphany and moving towards modern one. The poet’s approach to subjectivity proves, however, paradoxical. Limitation of the subject’s power granted by modernity is accompanied in this view an emphasis put on the effort, on the work of “I” disclosing a deeply sacral dimension of reality. The article refers to the relationships between Lalka (The Doll) by Bolesław Prus and the publicist context represented mainly by “Kurier Codzienny” (“Daily Courier”) in which between 1887 and 1889 the first publication of the novel appeared in episodes. The author, however, does not mean a fictional structure related to so-called novel in episodes, well researched also by Polish literary scholars. He is interested in what results from setting a literary text against a newspaper page, focuses on literary genre similarities between the novel and the feuilleton, on every allusion to present affairs included into the neighboring informative sections. The author also pays attention to temporal, geographical and social dimension of the novel when he compares the aforementioned dimension with that of a daily. In his view, it was the press context that made an important background for The Doll’s readers in “Daily Courier” and proved decisive in the novel’s realistic reception. 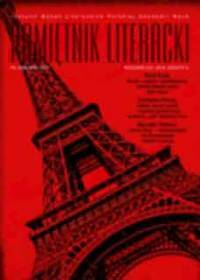 Black Paris is an unknown novel by Jan Brzękowski (composed jointly with Jolanta Fuchsówna). The piece complements the state of research about the creativity of one of the leading representatives of the Cracow “Vanguard,” and also discloses one of the episodes of the Cracow “Vanguard” complex, though not entirely researched connections, with popular literature and culture. It also argues that though the literary formation accepted the popular novel, at the same time they unwillingly welcomed poetry of such character. The former was sometimes a source of inspiration and profit, and often also a means of communicating ideological matters, while the latter appeared only occasionally on the margins of their creativity. The aim of this article is to analyze Georges Bataille’s work in the light of French theoretical texts of the second half of the 20th century. The key idea that frames the discussion is based on the assumption that the openness of Bataille’s thought falls outside the framework of the literary commentary. As a result, a faithful reading of Bataille’s thought must betray the latter in a certain sense. This idea comes from the conviction that reading Bataille, only possible through “post-Bataille,” must opt for openness of his text. The author argues that Bataille’s text is only attainable as a trace that we can redraw across other texts which develop (from) his écriture. The paper analyses various types of references to folk music in several poems by Jarosław Iwaszkiewicz (Ciemne ścieżki <Dark Paths> and Muzyka wieczorem <Night Music> poetic volumes). It focuses on the Polish highlanders’ folk music and the music of the Kurpie region, mediated by Karol Szymanowski’s Pieśni kurpiowskie (Kurpian Songs). Reminiscences of the youth of the lyrical subject and of his past encounters with real people, primarily Szymanowski, have turned out to be one of the main functions of these references, often creating a sylleptical model of the subject. Other functions, quite typical of general relationships between poetry and music, include imitation of selected elements of a musical form or enriching the sonic level of poetical texts etc. Music presented in these poems turns out to be a catalyst for the subject’s memory, unleashing specific strategies of reminiscing and reconstructing the past. The article is a description of Ryszard Schubert’s debut novel Trenta Tre, included into the literary trend of the 1970s referred to as “artistic revolution in prose.” A synopsis of the novel’s reception is a chief part of the article, which aims at capturing the specificity of literary and linguistic revolution taking place in the writing. Taking advantage of colloquial language element and the category of authenticity make up an important context of the proposed interpretation. The following parts of the article focus on the issue of Schubert’s artistic strategy in which the use of local dialects, newspeak and sound of language play a key role. The article also touches the problems of the author’s disappearance from the text, the relation between spoken and written language and the dilemma of linguistic expression authenticity and originality. The word symbolon, from which terms referring to human semiotic activities derives, primarily meant a concrete material object used as an identification. Its linguistic counterpart was the term synthēma allowing to recognize identity in darkness. From the point of view of the history of semiotic thought, symbola were used in mystery cults. The present article shows a special type of mystery symbols, namely Orphist gold leaves: gold-leaf tablets put into the graves of those initiated into mysteries. They contained written formulas the soul of the deceased would cite in the underworld, and a description of his way after death in the dark realm of Hades. A convincing tool for analysis of the texts in question is Krzysztof Pomian’s theory of semiophors due to a semiophor’s performative character and its close connection to material form. Tadeusz Makowiecki’s four literary critical texts found in his archive files are published here for the first time. They were composed after the WWII, before his death in 1952. 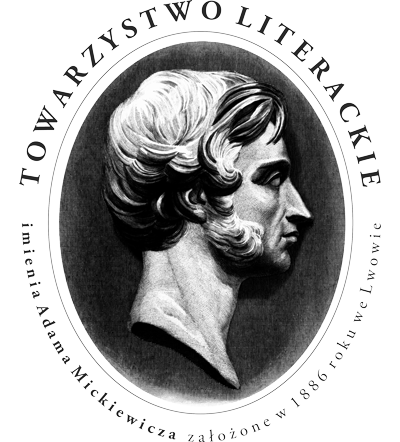 Their present publication is preceded by an attempt to describe the characteristic features of Makowiecki’s entire, also interwar, critical writing; the writing which to date in this aspect has been neither researched nor described, in contrast to his often recollected and presently enjoying great interest academic achievements. Makowiecki jointly created the personalistic trend in criticism of the 1930s. In the language of his studies and sketches a discrete and precise analysis was subject to picture with architecture, musical or painting metaphor. The image in the criticism organises the line of reasoning, and sometimes replaces conclusion. The imagery, connected with excellent free style forms a critical idiom of high literary value. The article contains a reprint of a short story by Bolesław Prus Ramię i głowa (Shoulder and Head) about Hindu subject matter, published after more than 100 years, unregistered to date in the writer’s bibliography, which admits right to a positivist buzzword “knowledge is power.” Its first edition is found in “Jednodniówka” (“Special Issue”) dated 1906 entitled At Christmas for poor children. The 1906 publication, prepared most probably by Wacława Kiślańska, a forgotten artist, woman of letters, translator and social activist, contains little known texts by over 10 authors, inter alia, by Bolesław Prus, Henryk Sienkiewicz, Maria Komornicka, Antoni M. Wysłouch, Natalia Dzierżkówna, Wacława Kiślańska. Between 1959–1995 Teodor Parnicki and his second wife Eleonora exchanged over 60 letters and postcards with Jacek Łukasiewicz, a literary scholar, poet, lecturer, and critic. The large collection preserved in the addressee’s archive offers, for a Parnicki researcher, numerous valuable pieces of information about the writer’s life, his creative process, and a number of interpretative tropes. The first letters sent by Parnicki from Mexico, where he stayed as an emigrant, refer mainly to Łukasiewicz’s critical sketches on Parnicki’s novels. The following letters speak about the current matters, frequent requests connected with the Parnicki’s removal to Poland, as well as the writer’s health matters. Publication of the collection, crucial due to both correspondents’ contribution to culture, is included into a renaissance of interest in Parnicki’s writing and to processing his so far unpublished materials. The review discusses Małgorzata Rygielska’s book which analyses the traces of Cyprian Norwid’s reception in Julian Przyboś’s literary creativity. Confrontation of various interpretative stances and reconstruction of critical literary views make the book’s vital significance for Przyboś’s output and bring many interesting interpretative recognitions of Norwid’s writing. The author reviews the edition of Niedrukowane dramaty Gabrieli Zapolskiej (Gabriela Zapolska’s Unpublished Dramas) and remarks that it is of exemplary fashion. Its first volume contains the following dramas: Nerwowa awantura (A Nervous Commotion) and Pariasy. Szkice sceniczne (Opressed. Stage Sketches), while the second one – Carewicz (Czarevitch) and Asystent (Assistant). 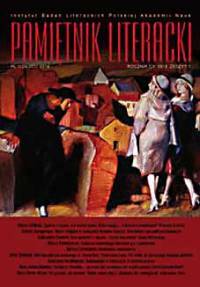 The review stresses the significance of Zapolska’s dramas to Polish and European culture at the beginning of the 20th century; Czarevitch, for example, was adapted for Ferenc Lehár’s opera libretto. The object of evaluation here is Magda Heydel’s book „Gorliwość tłumacza”. Przekład poetycki w twórczości Czesława Miłosza (“Translator’s Zeal.” Poetic Translation in the Work of Czesław Miłosz). The reviewer acknowledges the book as illustrious and also pioneering since Miłosz’s translations of Polish poetry into English have not so far been meticulously researched, and such analysis is of crucial importance for in-depth understanding of the poet’s original field of activity. Presentation and attempts at applicability of new concepts in translation theory only add to the tremendous value of the book in question. 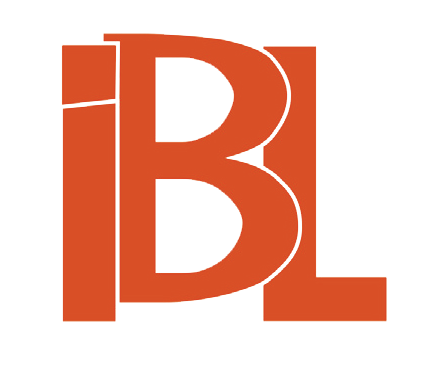 The text includes a remembrance about professional and social activity of Anna Bujnowska, PhD, a retired Head of IBL PAN Purchase Section, deceased June 22nd, 2015, and an attempt at a (subjective) characteristics of the unusual person. A remembrance about a lately deceased eminent literature and culture in old Poland scholar as well as a researcher in comparative literary studies.